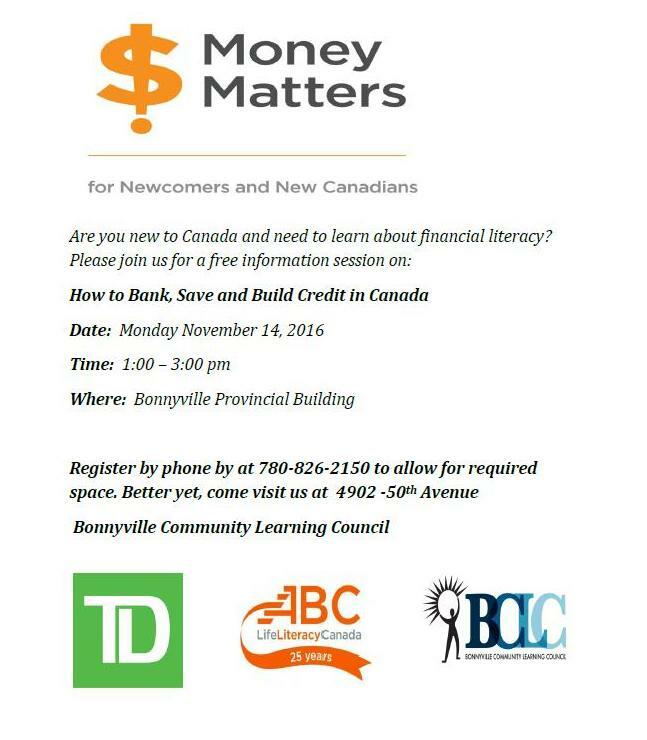 Please join us for a FREE financial literacy information session: $Money Matters for New Comers and New Canadians, Monday November 14 from 1:00 – 3:00 pm. Learn how to bank, save, and how to build credit. Please call to register to allow for provided space. Stop by or call 780-826-2150.